Savvi Formalwear, the leading tuxedo retailer in the Twin Cities, launched Savvi Photography in 2019! We understand that there’s more to Twin Cities wedding photography than just capturing memorable photos – it’s about great service, all-inclusive photography packages, and removing as much stress as possible. This is why we provide a concierge level service that’s attentive, timely, and committed to over-delivering on every promise we make. During your engagement session (which is included), we’ll get a chance to know you so that you’ll be more comfortable in front of the camera on your wedding day. We’ll take the best photos from this session and design a creative guest book that can be displayed at your wedding (also included). You’ll see your color corrected photos within 2 weeks of your wedding, and we’ll even pre-select the photos we recommend for your wedding album! Although you will receive the edited, high-res digital files, every couple gets a professional wedding album (also included), which is made in the US and comes with a lifetime warranty. Because we know how important it is to have something you can look at for years to come, we’ll even replace it in the event of a natural disaster at no charge. That’s how passionate we are about your wedding memories! Pro-active planning is the key to a successful wedding photography experience. Offering a concierge level service requires many talented individuals working as a team on your behalf. Our Twin Cities wedding photographers will take great photos, while our editors and album designers work their magic behind-the-scenes. Your wedding coordinator will be your point person, and will work closely with you to ensure that we understand your timeline and the photos that are most important to you. They’ll also coordinate with the photographer and the album team, to be your single point of contact for all things wedding photography. For your convenience, all communication (including payments) is handled online. You decide how to interact with us (chat, email or phone), and often times we’re available after normal business hours. That’s enough “about us”, it’s about YOU and YOUR wedding day! Savvi Photography is a member of the Bridal Photography Network, the industry’s premier wedding photography company. We are connected to Savvi Formalwear, the leading formalwear retailer in the Twin Cities. 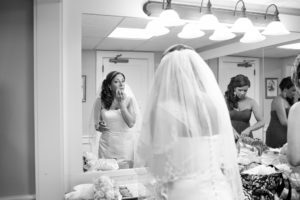 We understand that there’s more to Twin Cities wedding photography than just capturing memorable photos – it’s about great service, and removing as much stress as possible. This is why we provide a concierge level service that’s attentive, timely, and committed to over-delivering on every promise we make. Pro-active planning is the key to a successful photography experience. Offering a concierge level service requires many talented individuals working as a team on your behalf. Our Twin Cities wedding photographers will take great photos, while our editors and album designers work their magic behind-the-scenes. Your wedding coordinator will be your point person, and will work closely with you to ensure that we understand your timeline and the photos that are most important to you. They’ll also coordinate with the photographer and the album team, to be your single point of contact for all things wedding photography.